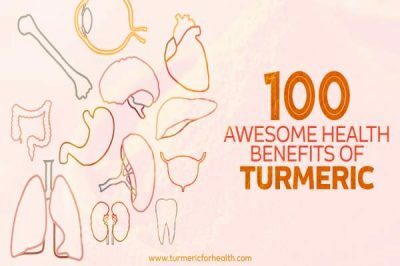 Fermented turmeric is a new addition to the list of fermented foods that provide multiple health benefits. 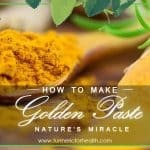 It is a novel approach to make the most out of the medicinal herb turmeric and its constituent curcumin. The process of fermentation makes use of microbes such as bacteria and yeast, to convert carbohydrates into alcohols, organic acids, and carbon dioxide. Fermentation of vegetables and other foods have been done since generations for preservation and flavor enhancement. Scientists have today, discovered that not only the fermented foods but also the microorganisms involved and the end-products of fermentation have a significant impact on the health and well-being of an individual. There are several benefits of fermented foods. 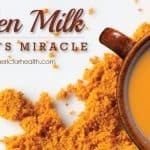 How does fermenting change the bioavailability of Turmeric? They can modulate the gut microbiome. The population of gut bacteria has been known to influence biochemical processes such as digestion, metabolism, cognition, brain function and immune response. The bacteria that take part in fermentation produce vitamins, minerals, enzymes, and biologically active peptides. They also aid in the removal of unnecessary constituents from the food. The peptides produced by these bacteria have anti-microbial, antioxidant and anti-carcinogenic properties. The metabolites produced by fermentation bacteria prevent the growth of pathogenic bacteria in the foods and helps in its preservation. The bacteria convert sugars into simple acids, alcohols, and carbon dioxide. These end-products are used by the human body for carrying out many biochemical and metabolic functions. In plant foods, the bacteria can pre-digest complex carbohydrates like cellulose (a constituent of the plant cell wall) which are difficult for humans to digest. They improve the flavor, aroma, and texture of foods. Depending on the type of food fermented, they can have a wide array of uses with their anti-microbial, cardioprotective, hepatoprotective, antioxidant, lipid reducing and memory improving properties. They can also attenuate malnutrition, infection, inflammation, cancer and immune disorders. When fresh or powdered turmeric is fermented in the presence of healthy bacteria, Fermented turmeric is obtained. Lactobacillus, Bifidobacterium, and Trichoderma are some bacterial and fungal strains, commonly used for fermenting turmeric. 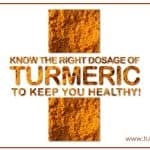 Turmeric or Curcuma Longa, the commonly used spice in Asian cuisines has several medicinal benefits. It has anti-inflammatory, anti-oxidant, anti-microbial, wound-healing, memory enhancing, anti-cancer and anti-diabetic effects, to count a few. Although turmeric has so many advantages and an excellent nutritional profile, its limited bioavailability in the human body is a challenge. 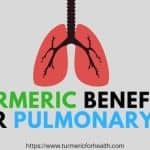 Fermented Turmeric can help solve this problem and increase the therapeutic effect significantly. Let us know how. Fermentation increases the bioavailability of curcuminoids, phenols and other vitamins and minerals present in turmeric. 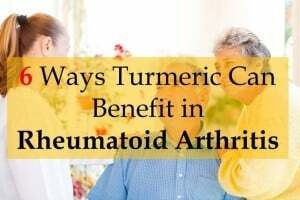 It can increase the content of curcumin (the main active ingredient in turmeric) by about 11%. Fermentation bacteria break down complex nutrients in turmeric to simpler forms which are easily digested and used by the body. 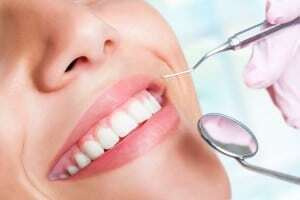 The bacteria also provide enzymes to facilitate the functioning of the digestive system. Fermentation reduces the amount of non-digestible components from the foods. This makes essential nutrients and traces elements more accessible. It makes curcumin more soluble in water. 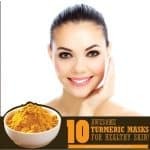 As turmeric becomes more bioavailable after fermentation, the active ingredients and nutrients in turmeric it will be utilized more readily by the body. Thus, it will provide more benefits and will be therapeutically more effective. Fermenting maintains the nutrients and active ingredients of a particular food. Thus, fermented turmeric is bound to provide all the benefits of un-fermented turmeric. The antioxidant activities of turmeric have been found to increase when it is fermented. Studies show that post-fermentation, the levels of curcumin (by around 11%) and phenols are considerably elevated in turmeric. Phenolic content of a food is directly proportional to its antioxidant capacity. Thus, increased total phenolic content suggests an improved antioxidant status of turmeric. Moreover, the radical scavenging activity of fermented turmeric has been shown to raise three folds as compared to unfermented turmeric. In animal models, significantly higher levels of antioxidant enzymes like catalase, glutathione, glutathione transferase, glutathione reductase and glutathione peroxidase in the liver were reported after treatment with fermented turmeric. This suggests that fermented turmeric can reduce or prevent oxidative stress caused by the development of toxins in the form of free radicals. This will then keep oxidative stress-related disorders at bay. Fermentation increases the phenolic content and consequently, the antioxidant potential of turmeric. Inflammation occurs as a result of the immune response to infection, injury or invasion by other pathogens. However, excessive or prolonged inflammation is the cause of several disorders like arthritis, skin problems and inflammatory bowel diseases. Turmeric itself is a strong anti-inflammatory agent, but fermented turmeric is way ahead. 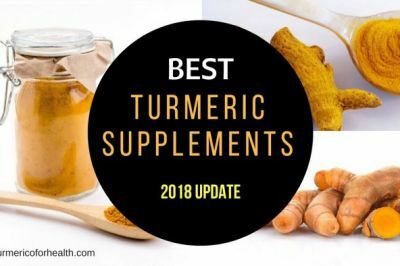 A study published in the Korean Society for Applied Microbiology and Biotechnology described a study where fermented turmeric was found to inhibit pro-inflammatory cytokines and lower acute inflammation, more effectively than unfermented turmeric. Moreover, it demonstrated increased prevention against an acute anaphylactic reaction. This shows that it can suppress an over-active immune response and also has anti-allergic activity. Thus, the prevention and treatment of inflammatory disorders like dermatitis can be bettered by using fermented turmeric. Fermented turmeric has the ability to be utilized in treating inflammation-related conditions and allergies. As per research, post-fermenting, the anti-microbial properties are magnified. Turmeric fermented with lactobacillus bacteria or Trichoderma species of fungi has demonstrated excellent microbicidal effects. This is because the healthy microbes in fermented turmeric produce inhibitory substances for pathogens and also increase the immunity. Species like Lactobacillus produce lactic acid which lowers the pH and the disease-causing bacteria are not able to survive in this acidic environment. Some other probiotic strains are also capable of producing bioactive substances like ethanol, formic acid, fatty acids, hydrogen peroxide and bacteria-specific toxins, which have anti-microbial activity. Furthermore, the pathogens are not able to successfully compete with these healthy microbes for nutrient availability and binding sites. Fermented turmeric inhibits the growth of several disease-causing microbes like Escherichia coli, Bacillus cereus, Streptococcus agalactiae, Staphylococcus aureus, Methicillin-Resistant S. aureus (MRSA), Enterococcus faecalis, Pseudomonas aeruginosae and Klebsiella pneumonia. These bacteria could otherwise lead to food poisoning and are also the cause of infections of the gastrointestinal tract, respiratory system, urinary tract, and skin. Also, it may help in the preservation of food for a longer time. 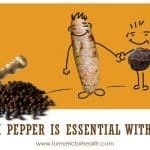 Healthy microbes in fermented turmeric prevent the growth of disease-causing microbes and also aid in food preservation. Abnormally high levels of lipids (fats) in the blood can lead to weight gain, heart diseases, and stroke. Fats from food or the extra calories we eat get converted to lipids and are stored in the body in fat cells called adipocytes. Fermented curcumin has been found to significantly reduce the levels of triglycerides and total cholesterol in hyperlipidemic subjects. It can regulate the levels of lipids in both blood and the liver. It regulates the expression of genes involved in lipid accumulation and fatty tissue formation. This suppresses the process of adipogenesis (formation of fat cells). In vitro studies show that fermented turmeric increases the levels of several enzymes like lipases which promote fat oxidation. This promotes lipolysis (the breakdown of fats). Extra calories as glucose get stored in the form of fats. Fermented turmeric reduces this glucose uptake by fat cells. It further reduces body fat mass, adipose tissue weight and prevents body weight gain. Fermented turmeric can reduce body fats, body weight, fat deposition and glucose uptake. This can help in preventing obesity and associated disorders. The liver performs an essential function of detoxification by which it alleviates harmful substances from the body. The normal functioning of the liver can be ascertained by the levels of certain enzymes in the blood, which are commonly called the liver function enzymes. Alanine Transaminase (ALT) and Aspartate Aminotransferase (AST) are two enzymes whose elevated levels signify disruption of the liver activity or liver damage. 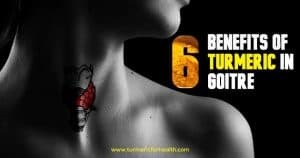 A recently concluded clinical trial studied the effects of fermented turmeric on 60 individuals with elevated levels of ALT. They were given 3g fermented turmeric powder per day for 3 months. 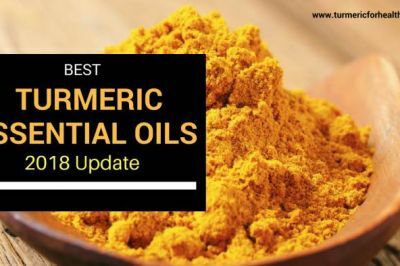 The results showed that fermented turmeric was successful in lowering the levels of AST and ALT in the subjects. The powder was also found to be safe, well-tolerated and without severe side effects. In addition to improving liver function, fermented turmeric, due to its excellent antioxidant nature, can reduce oxidative stress in the liver caused by toxins like carbon tetrachloride (CCl4). Fermented turmeric improves the levels of liver function enzymes and reduces oxidative stress-induced liver damage. Memory loss and declining learning ability are commonly observed in age-related neurodegenerative disorders such as Parkinson’s disease, Alzheimer’s disease, and stroke. The glial cells in the brain regulate the learning ability and memory. Toxins in the form of free radicals activate these cells and induce an inflammatory response. This leads to the production of several inflammatory enzymes, factors, and cytokines, which in turn, damage and kill nerve cells. Memory loss and cognitive impairment follow. Turmeric has anti-inflammatory, anti-oxidant and neuroprotective effects, which are increased after fermentation. A study of 2017 has found that even fermented turmeric is able to inhibit the production of prostaglandins and other inflammatory enzymes. It also reduces oxidative stress induced by the drug scopolamine in the brain. This prevents the consequent nerve cell death and attenuates memory impairment. Fermented turmeric can protect from memory loss and decreased learning ability caused by inflammation and toxins in the brain. 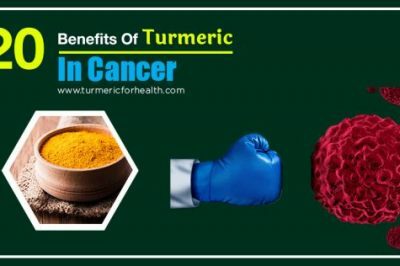 Turmeric can help in fighting cancer of several kinds. However, studies on fermented turmeric are scarce in this regard. Recent research published in 2015 reports that fermented turmeric can inhibit the growth of cancerous cells. It interferes in the cell cycle and prevents their multiplication. It can also identify and kill cancer cells. This effect was seen in human colorectal cancer cell lines. 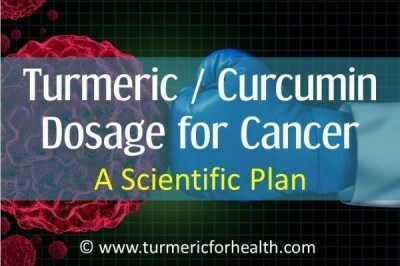 More research is required in this regard to establish fermented turmeric as an effective anti-cancer agent. 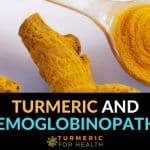 Preliminary findings suggest the potential of fermented turmeric in suppressing the growth of cancerous cells. Fermenting turmeric is quite easy and can be done at home. Start with organic produce of fresh turmeric, which is free from pesticides and chemicals. One can ferment both turmeric roots and turmeric powder. Turmeric roots naturally containing probiotic bacteria which grow if optimum conditions are provided. However, if using turmeric powder, one might require a starter, containing healthy bacteria like lactobacillus to initiate the fermentation process. Wash the turmeric roots thoroughly to remove dust and any other impurities. Cut turmeric into small pieces, slices or juliennes. One can use both peeled and unpeeled turmeric. To make it even more flavorful and nutritious, pieces of ginger and garlic and any other vegetable can also be added. Transfer into a clean container, preferable air-tight glass jars. Add filtered water such that the turmeric is completely submerged in water. Do not use tap water as it contains chlorine which can hamper bacterial growth. Add 1 tbsp sugar/salt and leave the jar in a cool dark place for a few days. Mix contents or shake the jar regularly. Sugar/salt will discourage the growth of pathogenic strains. Check for the appearance of small air bubbles, which means that fermentation has occurred. Now transfer the jar to the refrigerator. This fermented turmeric broth solution can be consumed regularly in many ways and can be added to soups, curries, smoothies, salads or dough. The turmeric pieces can be ground into a paste and used in a similar manner. Always carry out the fermentation process in clean, hygienic and optimum conditions. This could otherwise cause the growth of toxic, unwanted and disease-causing bacterial strains, leading to food poisoning. Some people with reduced tolerance to spices and fermented foods might experience gastrointestinal discomfort upon consuming fermented turmeric for the first time. However, these effects are often short-lived. Therefore, one should start with small doses of 1/2 tbsp per day. 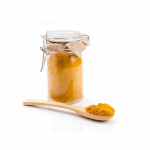 People with a compromised immune system might not be able to digest fermented turmeric. Their bodies may not be able to regulate the gut microbiome population which has been altered by the consumption of fermented foods, which can cause infections and diseases. Fermented foods can alter the functioning of certain drugs in the body. Hence, they should not be taken concomitantly with other medicines. 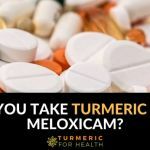 Pregnant and breastfeeding women, children and persons with a prior health condition must consult with a medical professional before starting to take fermented turmeric. 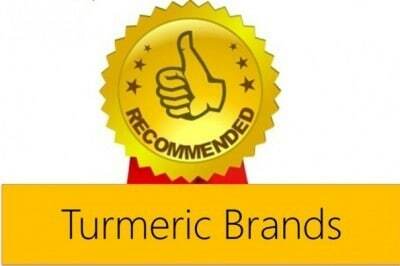 Fermented turmeric is healthier and more beneficial than unfermented turmeric. 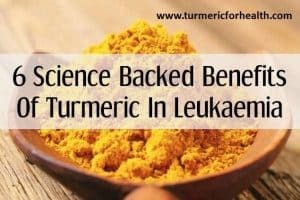 This is because fermentation significantly increases the bioavailability, phenolic content, antioxidant potential, anti-inflammatory, anti-microbial and lipid-lowering effects of turmeric. It is also more effective in treating obesity, cancer, memory impairment, and liver damage. However, in contrast to normal turmeric, studies on fermented turmeric are quite limited. More research is required to affirm these and other possible medicinal benefits. I appreciate the article but must add that with so many degreed persons contributing, you might have thought to cite the sources of information in order to add weight to the strength of your arguments. I am trying this recipe. Because there are no measurements to be used, I am skeptical of the results. I have organic turmeric with skin on. I have ginger root and garlic. All know who are familiar with these three, know that they come in all sorts of shapes and sizes. So for now this is an experiment. Hopefully someone can respond to me with some idea of measurements. Looking forward to trying this. I wonder how the flavour is? 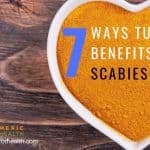 Would adding Nutritional Yeast to blended tumeric whole root, then “canning” it in mason jars in the fridge, be an effective way to ferment it? What source would you get lactobacillus from? Kefer? Yogurt? I have had turmeric in Kombucha before, one of my favorite is ginger/turmeric kombucha. Where in the recipe does it call for lactobacillus?